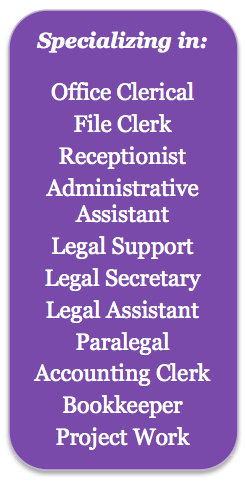 Dependable Personnel is a locally owned and operated agency that specializes in legal, clerical and administrative placements. Our agency takes a personalized approach to staffing and takes the time to listen to each prospective job seeker's priorities and needs. After being in business for over 20 years, we have excellent relationships with our employers which allows us to make meticulous recommendations that end in perfect matches.